This was a huge night for The Revenant at the Golden Globes, the harrowing true-life story of a frontiersman’s battle to survive after being left for dead. The Hollywood Foreign Press Association gave this best motion picture (drama); the best actor (drama) prize went to its star Leonardo DiCaprio and the best director award (not split into drama and musical/comedy) went to Alejandro González Iñárritu. And yet it has to be said right away the classic Globes triumph was that other left-for-dead survival drama, Ridley Scott’s The Martian, the story of Matt Damon’s Nasa astronaut marooned on the red planet of Mars. 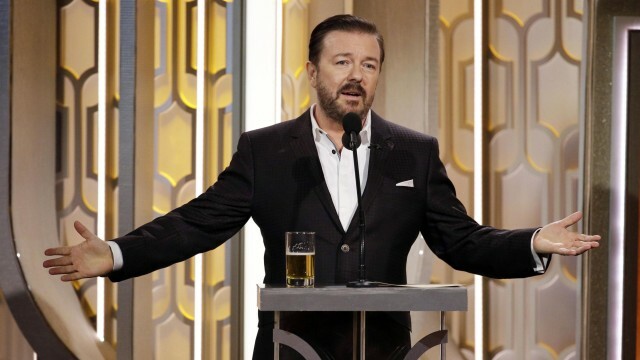 It’s the kind of triumph that Globes fanciers find amusing, bemusing and exasperating – or, conceivably, an example of the way the Globes honourably strive to reward populist entertainment that audiences really, really like. It was enough of a head-scratcher that The Martian got nominated as best picture in the comedy/musical category, but for it to win in this list, is a coup. And what a night for Matt Damon, winning best actor in that category. As Ricky Gervais said: “The Martian is funnier than Pixels.” But what isn’t? The Globes are rightly praised for their structural bias towards comedy – that important and difficult genre – but it’s eccentric that The Martian wins big over a really funny movie like Inside Out, not nominated in that list, though a popular winner in the animation category. But back to The Revenant, a beautifully made and viscerally powerful film. The likelihood that it will go on to win Oscars makes it vulnerable to contrarian charges of machismo and self-importance, yes, but it is just so supremely well made, spectacular and cinematic: it has real ambition and power. Perhaps the surprise of the evening was Brie Larson’s win as best actress (drama) for the harrowing movie Room, based on Emma Donoghue’s novel. Again, of course, it is a survival theme, and the importance of this could perhaps be expected to trump everything else. I personally was disappointed that Saoirse Ronan did not win for her very subtle, nuanced and sympathetic performance in the romantic drama Brooklyn, as the emigrant who re-immigrates back to Ireland and confronts her own alternative possibilities of existence. Larson also came out ahead of Cate Blanchett and Rooney Mara in Carol and the increasingly impressive Alicia Vikander in The Danish Girl, so this really was a career-highpoint triumph for her. Jennifer Lawrence continues to be a blue-chip award winner, picking up best actress (musical/comedy) for her intriguingly controlled but for me somewhat opaque performance in David O Russell’s Joy. She is a very charismatic screen presence, a real star, though I have Martian-type reservations about this as a musical/comedy performance (unlike her appearance in Russell’s American Hustle). However marvellous Lawrence is, I found myself wondering if she shouldn’t have been made to duke it out in the serious section and that each of her competitiors here (Amy Schumer, Melissa McCarthy, Maggie Smith and Lily Tomlin) were more qualified in this category. Once again, Kate Winslet has picked up metal, this time a best supporting actress prize, playing the long-suffering Apple executive Joanna Hoffman in the intriguingly theatrical study of the Apple founder Steve Jobs, directed by Danny Boyle and written by Aaron Sorkin, who picked up best screenplay. It was an extremely engaging performance from Winslet, self-aware, amusingly fluttery with mannerisms, in tune with the bravura jazz of Sorkin’s writing. Winslet is in a fascinating stage of her career: she can still carry off a romantic lead, but is more than capable of a withdrawing to a supporting character role, which she can turn into a scene-stealer. There is of course a potent Hollywood poignancy in the lead who evolves into a supporting player, and Sylvester Stallone’s latest Rocky performance was a popular choice as best supporting actor, playing the ageing Rocky coaching the son of his former rival: it was a humane and sympathetic idea for a sequel. Elsewhere, it was good to see Inside Out rewarded in the animation category, although there is a powerful school of thought that says it should be considered in the other categories as well. Inside Out won out over Charlie Kaufman’s remarkable stop-motion animation Anomalisa, an extraordinary sui generis piece of work which I think should get a category all of its own. One of the most extraordinary careers in cinema continues unabated: the 87-year-old Ennio Morricone, who might be expected to be showing up for awards ceremonies only to pick up stately Honorary awards, is still doing vital new creative work. His score for Tarantino’s The Hateful Eight is terrific – one of his best, and a worthy winner. Finally, and on a note of unavoidable bathos, the foreign language prize. This rightly goes to a really extraordinary film, one of the year’s best: László Nemes’s drama Son of Saul, set in the unspeakable horrors of the Nazi death camps: a prisoner becomes across a body, which he is convinced is that of his dead son. Whatever eccentricities the Golden Globes occasionally perpetrates, there was no misstep in rewarding Son of Saul. So, the outcome of the Golden Globes seems pretty clear: a huge win for The Revenant, for Alejandro González Iñárritu and for Leonardo DiCaprio, for whom the Oscar odds are shortening. As for who will win the best actress race, that is still open.